A workplace shooting at a St. Louis, Missouri, business on Thursday, June 13, 2013, left four people dead. It appears to be a murder-suicide, a police official said. The owner of AK Home Health Care is believed to be the gunman, and the victims were his employees. After a review of evidence, including a surveillance video, officers determined there had been an argument in the office of the business, Capt. Michael Sack told reporters. "Shortly thereafter, gunshots are shown penetrating a wall inside of the business," police said in a statement. It was unclear whether the "brief" dispute carried over from another day, Sack said. A semiautomatic handgun was recovered. No other people were injured. The shooting occurred at the Cherokee Place Business Incubator, apparently named after Cherokee Street where the business was located. All those dead were Somalis. 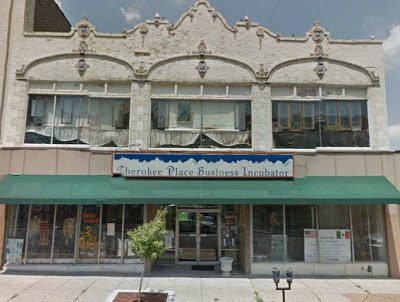 After receiving a call at about 1:30 p.m., police rushed to the building, which houses several businesses. Police have identified the shooter as Ahmed Dirir, a 59-year-old businessman. He killed three employees before turning the gun on himself. 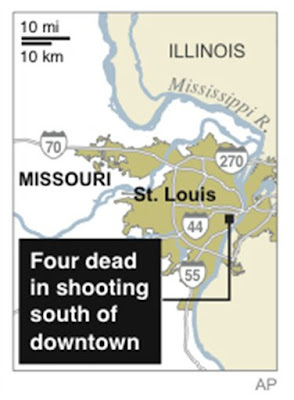 St. Louis police said in a news release that 44-year-old Khadra Muse of Olivette; 29-year-old Seaeed Abdulla of St. Louis; and 54-year-old Bernice Solomon-Redd of East St. Louis were killed by Dirir in the shooting at AK Home Health Care LLC, just south of the downtown area. 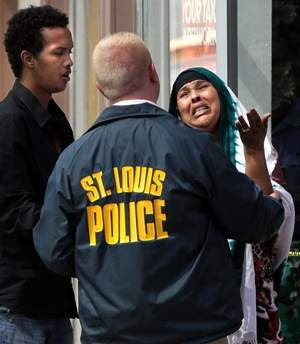 St. Louis Police Capt. Michael Sack has said the gunman was the owner or co-owner of the nursing services provider, and that the victims were his employees.